Branding Strategy Source: Should Marketers Rely on the Reptilian Brain to Motivate People? Should Marketers Rely on the Reptilian Brain to Motivate People? Roughly, the brain can be divided into three parts, the reptilian, the limbic and the neocortex. The reptilian brain focuses on survival and is primarily driven by fear but also includes emotions such as aggression, greed, dominance and submission. The limbic system is the emotional part of the brain and it relates pain and pleasure to activities that hurt and help you. It does this by linking particular activities to pain and pleasure in one's memory. The neocortex is the newest addition to the human brain. It controls functions such as logic, reasoning, creative thinking, language, the integration of sensory information and other higher thinking functions. Marketers have found that people make decisions primarily based on emotions, and in particular, the emotion of fear. That is, people primarily use the reptilian and limbic parts of their brains to make decisions even if they view themselves as being highly evolved rational human beings. Here is what I would ask marketers to consider. Through fear-based brand messages, we continue to fan the flames of peoples' fears, fears that cause anxiety and irritability and often irrational behaviors. While this usually works, I would ask you to consider brand campaigns based on noble values - freedom, beauty, grace, kindness, compassion, joy - these sorts of things. 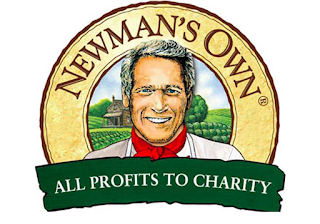 Consider Dove's Real Beauty campaign or Patagonia's Don't Buy This Jacket campaign or even Newman's Own's All Profits to Charity approach. All three campaigns are highly successful. Marketers can make a positive difference in the world by helping humans move beyond the ancient reptilian brain to parts of our brains that are more aligned with how we want to evolve as a species.